There is a wide spread perception amongst the intelligentsia that India lacks strategic culture. In our view, the deficiency if any perhaps lies in our reluctance to articulate our perceptions on strategic issues, as also to formulate a long term strategic view. As the oldest think tank in Asia, we decided to address the above issue and how we could contribute to evolution and dissemination of strategic thought on challenges facing the Nation. 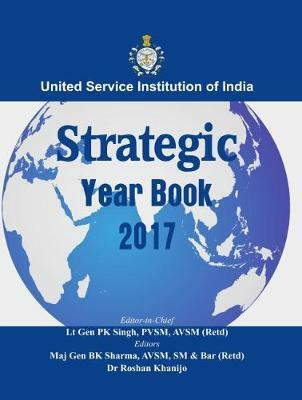 To this end the publication of a USI Strategic Yearbook 2016, which was our maiden attempt, received wide appreciation for its quality and contents.This current issue of the Yearbook contains series of articles by eminent persons and experts on various aspects of national security; the aim being to provide a strategic perspective which will create awareness and also help the policymakers in giving a strategic direction for India to transform into a developed society and a secured nation. We hope that readers will find this publication useful and interesting. We would welcome suggestions for improvement of subsequent issues.